Asilomar offers charming accommodations that are perfect for anyone dedicated to rest and reflection. In keeping with this tradition, guest rooms are free of modern-day distractions such as telephones and televisions. Historic Rooms are located in buildings designed by renowned architect Julia Morgan and built between 1913 and 1928, and feature the charms of hardwood floors and rustic furnishings, along with private baths. 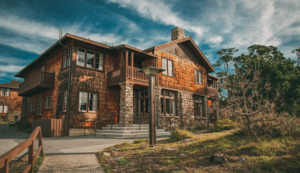 The more contemporary Asilomar/Standard Rooms are available with patios, balconies and cozy fireplaces. When you select your room, your price will seem high, but please know that all of your meals are included in the price. There will be no additional costs and makes this conference much more affordable. If you need a roommate to reduce your cost, you can make a request through the roommate service in the CETA portal. You can also register a partner or child as part of your room registration. For room/meal registration, it is important that you register through the CETA portal so that you have access to our room block. To reserve your room, click here. Main Event Limousines pride themselves on excellence that will make your event a memorable one. Transportation specialists are available for any size group or function taking place in Monterey, California. Taxicab Service Taxicabs are available at the Monterey Airport for transfer to Asilomar. Fares are $20.00 – $25.00 one-way. For more information, visit Main Event Limousine website.